Do you want to recreate some of the wonderful flavors of Lembeh Resort? Here at Lembeh Resort we have an internationally trained kitchen crew who love preparing Indonesian and traditional Manadonese dishes to compliment our western options. By far one of the favorite dishes prepared by our chefs in their Beef Rendang (Rendang Sapi). Beef Rendang is a traditional beef stew which is slow cooked to make the beef extra tender (falling apart tender) and to give the spices and aromats time to infuse into the meat and rich rendang gravy. 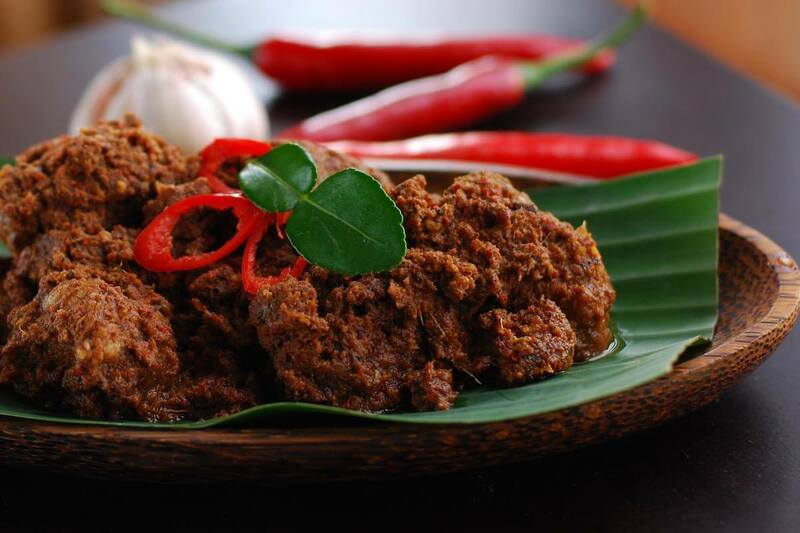 Beef rendang originated here in Indonesia and it is commonly served across the archipelago. It is also often served at ceremonial occasions and to honour guests – so it’s quite fitting that we serve it here in the resort! 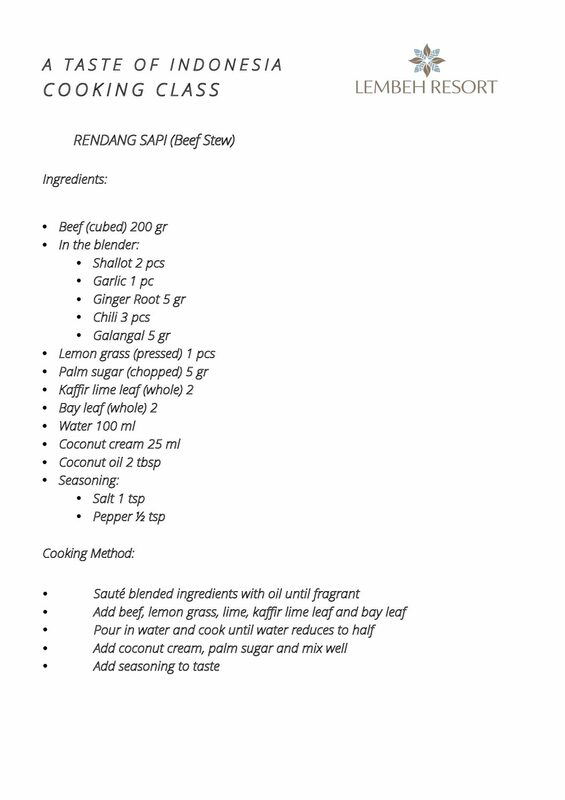 You’ll find our recipe below but before you start cooking, here are some interesting facts about beef rendang…. Rendang is often described as a curry but in Indonesia, curries have a lot more liquid whereas rendang has a rich and thick gravy. In 2011 an online poll of 35,000 people by CNN International chose rendang as the number one dish of their “World’s 50 Most Delicious Foods (Readers’ Pick)” list. In 2018, rendang was officially recognised as one of 5 national dishes of Indonesia. We look forward to meeting you at our beautiful Sulawesi Dive Resort soon!